Brother Willie Frederick was born on September 28, 1928 in Quincy, Florida to the late Andrew Frederick, Sr. and Carrie Reed Frederick. He answered the call from his Heavenly Father and transitioned from his Earthly Tabernacle to rest in the arms of his Savior on June 28, 2018. He attended Stevens High School in Quincy, Florida. He was employed at Higdon Casket Company and Mactavish Furniture Company for over 50 years. Brother Willie Frederick entered into Holy Matrimony to Ethel Haywood in May 1965. He accepted Christ as his personal Savior during his early life journey. He was a faithful member of Greater Tanner AME Church where he served on the Steward and Trustee Board, Sunday School Superintendent, Choir Member, and a Class Leader. He was an amazing Christian, husband, father, grandfather, cousin, and friend. He was preceded in death by this mother and father; one son: Clint Frederick; three brothers: Andrew Frederick Jr., George Frederick, Johnny Frederick and two sisters: Louise Sims and Sarah Wood. 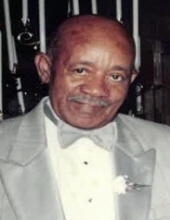 He leaves behind to cherish his precious memories: his loving devoted wife of 53 years, Ethel Frederick, two sons: Arthur Cecil Frederick (Betty) of Jacksonville, FL; Canary Williams (Monica) of Pensacola, FL; one daughter: Karen Frederick-Hines (Tarence) of Missouri City, TX; nine grandchildren; Boriginal Frederick (Atlanta, GA); LaPorscha Johnson (Tallahassee, FL); Trevor Frederick (Chesapeake, VA); Tremayne Williams (Memphis, TN); Andrew Scott Jr. (Jacksonville, FL); Delshilddrick Frederick (Tallahassee, FL); Khiry Hines (Jacksonville, FL); Myesha Williams (Tallahassee, FL); Kiana Hines (Missouri City, TX); two brothers: Tommy Lee Frederick (Doris) of Dover, DE and Henry Frederick (Dariel) of Hartford, CT; three great-grandchildren; a special Niece, Marion Oliver ( Melbourne, FL); two sisters-in-law Hazel Haywood (Quincy, FL) and Willie Mae Haywood (Folsom, PA), a host of nieces, nephews, cousins, friends, and a loving church and community family. To plant a tree in memory of Willie Frederick, please visit our Tribute Store. "Email Address" would like to share the life celebration of Willie Frederick. Click on the "link" to go to share a favorite memory or leave a condolence message for the family.